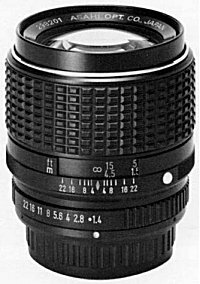 For a long time it was thought that this lens existed only as a prototype, and until this day I am not aware of any one in existence. 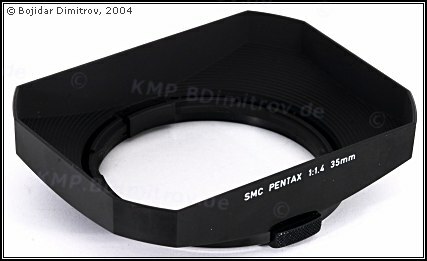 There are rumors that there were about five lenses sold, and in March 2004, I have held in my hands the SMC PENTAX 1:1.4 35mm dedicated hood, complete with its packaging box. So now I am willing to believe that indeed very few examples of this lens were sold in 1980.